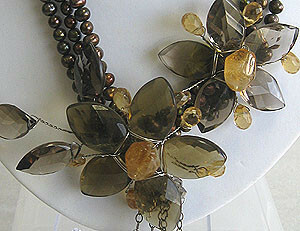 How stunning is this piece. 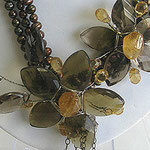 we used side drilled faceted smokey topaz to create the flower centerpieces and used nugget pieces of citrine for the center bu. 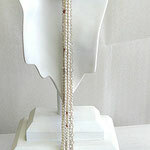 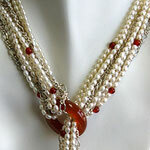 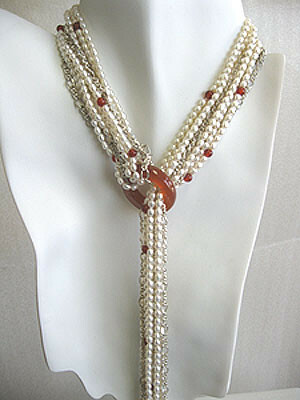 Three strings of freshwater pearls gracefully adorn this timeless piece. 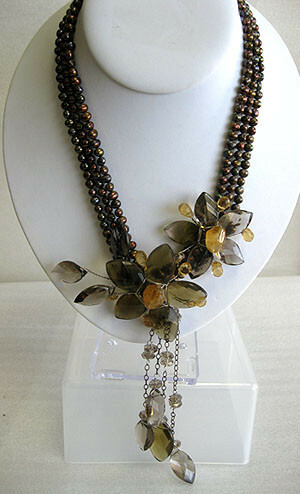 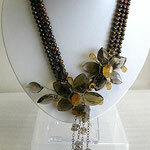 We used different lengths of chain to hang tiny briolettes from the center flower..tres beautiful. 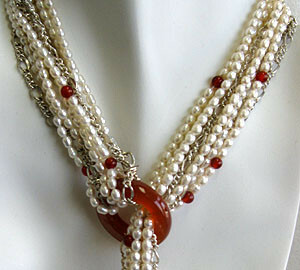 sterling silver plate chain is mixed throughout this piece.